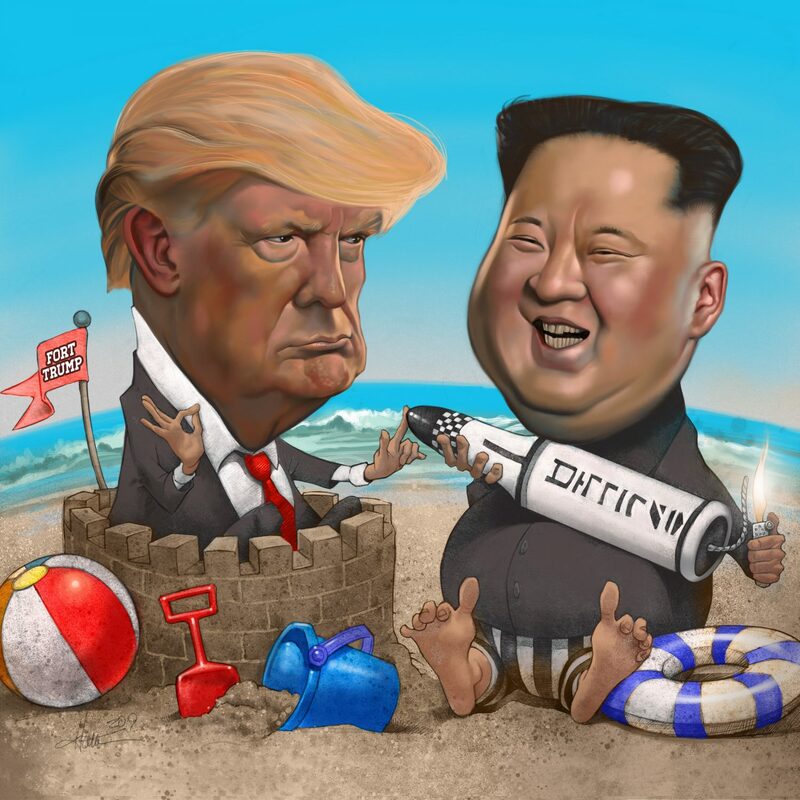 With this one we close out Chuck’s reign as featured artist. However, we have a feeling there will be more mad works coming from this multi-talented artistè! To see ALL of Hatton’s mad satirically illustrated renditions, as well as our other featured artists (45 total! ), visit our Mad Gallery! I love my neck of the hood but it’s rabidly rapidly changing and I’m not quite hip to the kinda hip that it’s shifting to. This once nitty-gritty part of the city is getting to be a bit too bourgeois for a regular joe like moi. The ragged edge that attracted this Chi-town boy to her all those years ago is getting dulled down by the day. I walk her Deep streets seeking to breathe in her underbelly culture that once seduced my senses. Sadly I see her getting yuppified. Her storefront lined streets dating back to the freedman ages, filled with blues tunes booming down Elm, bustling with tattooed bohos, blues tunes dudes, pounding punks rocking, mad multi-colored mohawks moshing, head banging metal heads, rollers free falling head first into dive bars, flying out feeling ecstatically free. Fast forward a handful of years and fat cat West Coast investors are pimping to corporate cookie cutter businesses, overpriced designer bars, boutiques and flashy fine-dining establishments, stealing away the local loco flavor outta this neck of the hood, replacing it with cheapened uptown-vibed hipster hell. High-rises are starting to block the downtown skyline and more are in store. Monstrosities reaching a dozen stories or more, filled with $50,000 millionaires who came to the deepest of Ellum to feel like they’re part of this once edged scene. 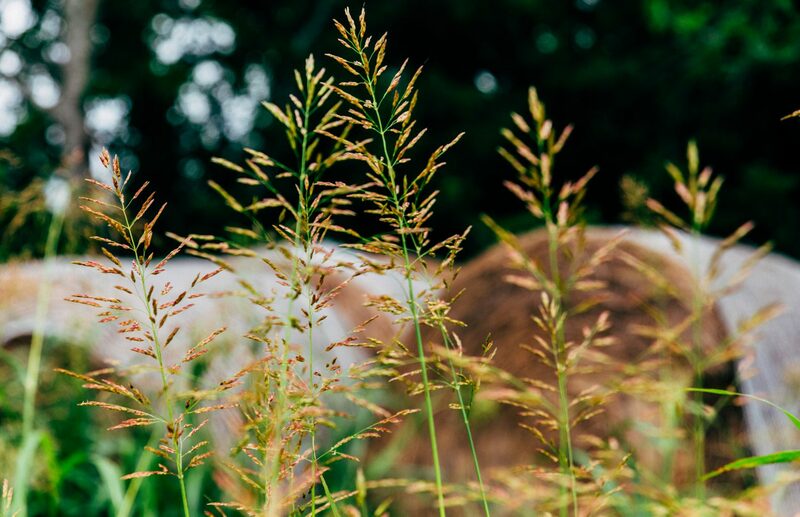 They came in waves and dulled down that edge and slowly but surely are choking out the roughened culture that once thrived on this side of town. When one of them turns to me. She is drinking on holiday. A boat waits inside a cliff stone. and it pretends it’s a fossil like a man. A murrelet lays its egg in a nest there. stretch weird little wings against storm clouds. from their minds to keep themselves flying. wishing for another Mars beyond Mars. around his lamp. There is no other world. and to change your insane ways? you’re winding me up, completely! If you Need-a-Read today, don’t need no more! 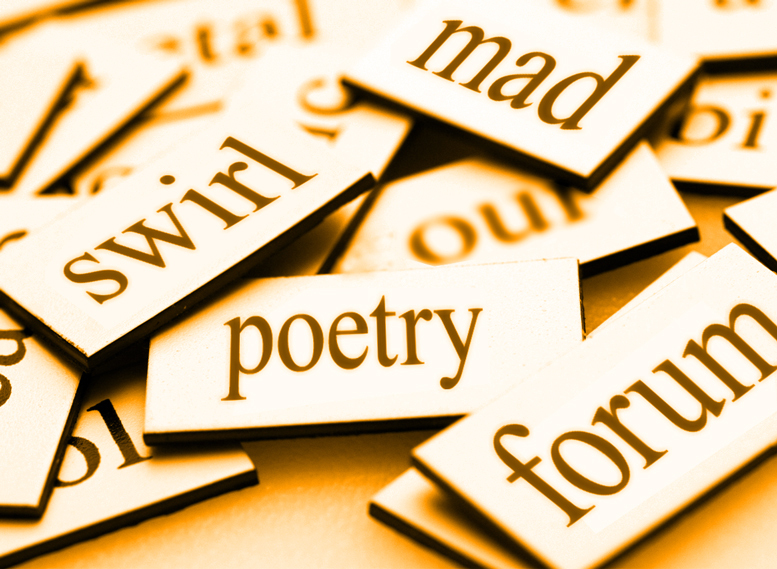 Mad Swirl has got you covered with “A Quiet Thanksgiving“ by Contributing Writer & Poet, Ruth Z. Deming. Come & get you some of this familial feast right here! This past 1st Wednesday of April (aka 04.03.19) Mad Swirl continued to whirl up our mic madness at our mad mic home deep in the heart of Deep Ellum… the Regal Room! 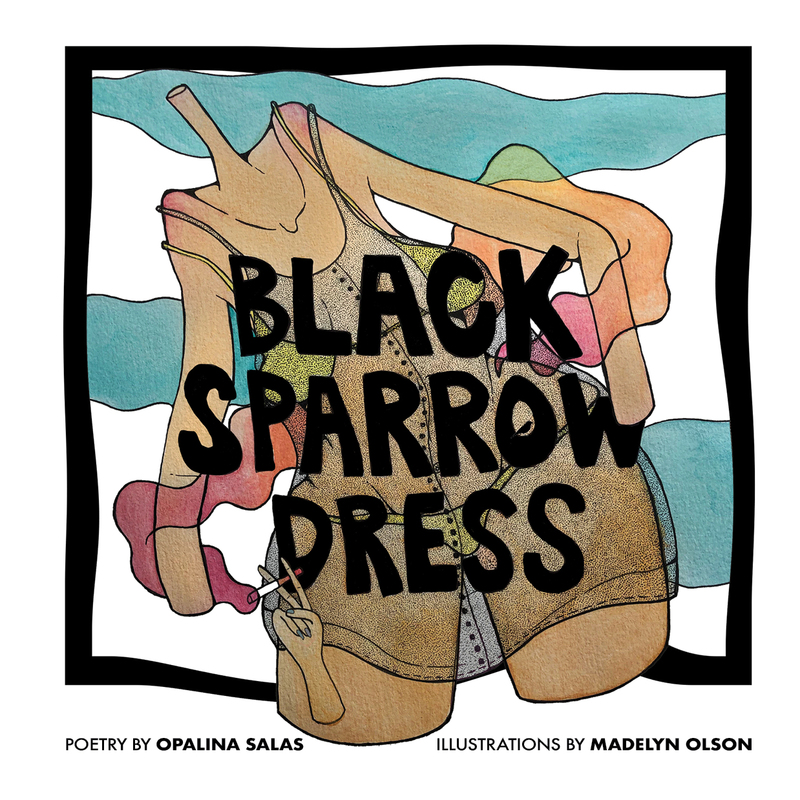 This month, Mad Swirl Press officially launched, “Black Sparrow Dress” by Dallas poet and spoken word performer Opalina Salas with illustrations by Mad artist Madelyn Olson. And what a launch it was! Opalina performed a handful+ of her poems from her collection to a standing-room only house. Almost every soul in the Regal Room bought themselves a copy and seemed pleased that they did. 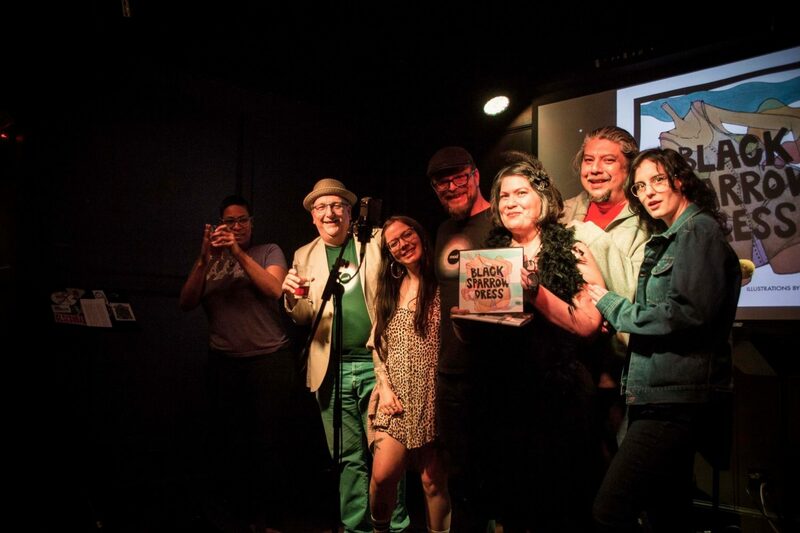 HUGE GRATS to all you mad poets, performers, artists and musicians who helped swirl us up a mighty fine & celebratory night! BIG ol’ thanks to Swirve for stirring the Swirl the best way in the world! More BIG thanks to Regal Room’s Thad Kulper for making us sound mighty fine on the mic. And lastly, but never leastly, thanks to ALL WHO CAME to support our launch of Opalina’s creative love-child down in the Deep neck of the Ellum & shared this loving, laughing, lasting night of poetry and music with us!